Explore Best Property in Pune with Photos, Maps & Details! 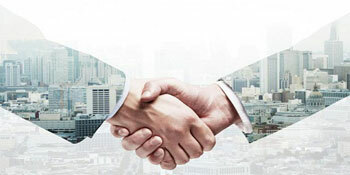 Buy, Sell and Rent in Pune with RealEstateIndia.Com! Pune Property Market Price Trends! Pune, also known as the cultural capital of Maharashtra, is said to offer excellent opportunities for all those migrating to this city. The city boasts of a rich history as it once served as the seat for the strong and powerful Peshwas. People living here love the rustic ambience fused with a pinch of modernity that the city offers. It has a number of universities that attract students from different parts of the city. This inflow of students and migrants has led to an increase in its property demands. Pune, being the second largest city in Maharashtra, has a resplendent infrastructure to fulfill the desire of all the migrants. It is one of the fastest growing cities in the country and has seen a drastic development in the past few decades. A number of healthcare institutions, universities, schools and other amazing buildings add to its infrastructural charm. The city is soon to welcome its own international airport and will be well connected with different parts of the world. It is already connected to other parts of the country through the Indian Railways. Well-maintained roads, highways, bypasses and flyovers enable seamless connectivity in this city. The percentage of migrants in Pune has increased over the past few years and reached a high of 15%. Going by the 2011 census, the population of Pune is around 9.4 million, which has seen an increase of more than 30% in the past 10 years. Pune boasts of a pretty decent literacy rate which is marked at 86.15%. The city has 915 women on account of every 1,000 men. Pune is the cultural capital of Maharashtra, thus having a lifestyle that is culturally rich and endearing. The city has seen a great development over a few years and now offers amazing entertainment as well as educational facilities. A number of malls, multiplexes, parks, zoos, restaurants, shopping centers and meditation spots have opened up in Pune to facilitate great opportunity for spending time in this city. The city developed drastically in the past few decades. Some localities became a site of best Pune real estate investment while others came to be known for the excellent living facilities. 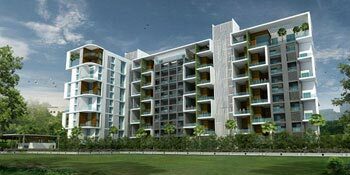 Some of the key localities in Pune that have experienced most of the development are listed here: Karve Nagar, Kharadi, Wagholi, Balewadi, Kalyani Nagar, Hinjewadi, Baner, Wakad, Aundh, Pimpri Chinchwad, etc. Real estate in Pune has seen such a drastic change only due to its dedicatedly working builders. They come up with various types of property for sale in Pune that match all the expectations of the ever increasing Pune population. Some of the leading builders in Pune that have played an important role in changing Pune’s face are listed here: Kolte Patil developers, Panchshil Realty, Marvel Realtors, Mahindra Lifespaces, Raviraj Realty, Lodha Group, etc. Pune has a number of projects that have been recently developed to keep it at par with the international standards of infrastructure. Many projects like residential flats and plots for personal use to commercial spaces for doing business; everything can be easily availed in this city. There are a number of new launches and ready-to-move-in projects that would suit every budget. Other luxurious living spaces, row houses, villas and duplexes can also be found for those looking for better property in Pune. The Government or Pune Municipal Corporation comes up with various schemes to improve the infrastructure of Pune. One can easily spot banners like “Real Estate for Sale in Pune” and “Pune Properties for Sale” while searching for government property in this city. The Maharashtra Housing and Area Development Authority, also known as MHADA launched its Pune Lottery 2016 for several homes this year. Apart from that, the PSCDCL or Pune Smart City Development Corporation Limited is an initiative by the government to make Pune one of the smart cities of the world. 2 BHK / 839 Sq.ft. 4 BHK / 3500 Sq.ft. 2 BHK / 872 Sq.ft. 4 BHK / 4000 Sq.ft. 2 BHK / 1140 Sq.ft. 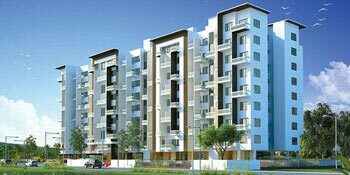 4 BHK / 3824 Sq.ft.